If you have run into immigration issues and are searching for help, choose Immigration Matters. 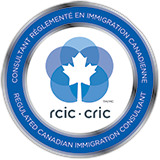 We're a locally owned and operated company run by experienced immigration consultants serving clients worldwide. We know how overwhelming the process can be, so we're happy to answer any of your questions in a clear, professional manner. Whatever your issue is, we'll help you explore your options and find a solution. We want our clients to feel comfortable, so we make our office a welcoming environment, and we treat everyone with a high level of respect and ensure confidentiality. Our company is known for offering quick response times, so you're never left waiting around. We're also renowned for our close attention to detail and competitive rates. Immigration Matters is ready to assist you in any way possible. We'll help you deal with the immigration process from beginning to end, keeping you educated about your choices every step of the way. When you're feeling stressed or worried about the process, your immigration consultant will give you peace of mind. When you're ready to set up an appointment, give us a call or reach out through our contact page.